Two Blokes Talking About Interesting Stuff like Loyalty, Leadership, Business and more, like Human Resources! Dõv shares the importance of true authentic relationships to growing a strong business in today's hyper-competitive world. 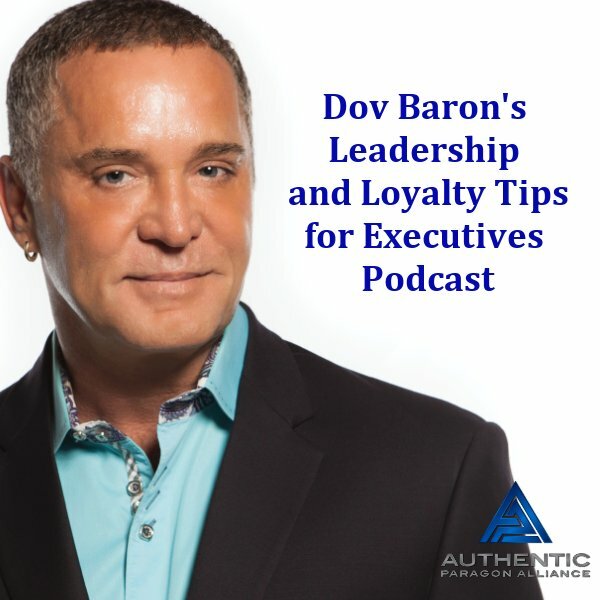 In addition to being an author and a radio host, Dõv is also the leading expert on Developing Authentic Leadership and he is the world's only Corporate Cultural Momentum Strategist, serving top performance individuals, corporations and organizations to generate both exponential growth and fierce loyalty. Dõv has been sharing his wisdom and expertise privately and on international stages with professional leaders for more than 30 years. His passion mixed with humour and 'get to the point' no BS style are contagious. Within moments you will feel a genuine connection with a man who authentically walks his talk. Dõv believes that the world needs more leaders who are Authentically committed to standing in their truth, sharing their inner genius, and empowering others to do the same. Dõv's commitment is to take you by the hand and show you why tapping into your Authentic Self is the MOST important key to finding, developing, and retaining your top talent. What would it really mean to you to step into the highest form of being a leader in your life? Unfortunately, most people never learn that the meaning of words like money, wealth abundance, success or fulfillment; the deeply held feelings and emotions that those words hold for you are major factors in determining your level of financial and holistic success because the meaning you give these things sets your resonance. Understanding and effectively adjusting your resonance is the key to lifelong wealth abundance and joy. in The Mind Mastery"™ Podcast, you’ll discover the quantum science behind the C.O.R.E. Affluence System. Why you you may have struggled with creating level of success, wealth and fulfillment you desire. You’ll learn the value of the creative approach to financial and holistic freedom verses the competitive approach, and how to use it. This distinction is often all you need to make dramatic gains immediately. You’ll also learn how to ask for and get what you’re truly worth!